Have you ever seen a friend’s drawing and your first response was, “I can’t even draw a stick figure!” A lot of people think drawing is some sort of innate talent that they simply don’t possess, but drawing is more about practice and skill than it is about simply having a gift. Anyone can learn to draw and even if you’ve never even doodled, taking some online drawing classes can do wonders for you. Even if you don’t think of yourself as an artist, there are benefits to taking online drawing classes. Art enables you to think in new, creative ways. 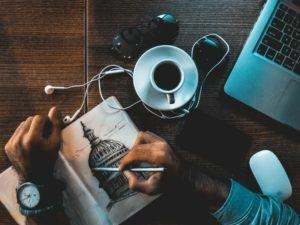 If you are having trouble coming up with new ideas at work, whatever your career, taking a few art classes and learning how to express your creative side can help to get your brain going. You will start to see things in a new way and be much more equipped the next time you need to be a little creative at work. Drawing is also a good way to break up the monotony of your day. So many people are busy with work, school, family, and other obligations that they get into a routine and can’t seem to find something to break out of it and just have some time to themselves. Drawing is something you can do on your downtime to help you relax and just do something else for a while. The great thing about art is that you can pick it back up at any time, even if you don’t have the time to sit down and finish an entire drawing in one sitting. Drawing may also just be something you can use to challenge yourself! You should never stop learning new skills and getting out of your comfort zone can help to keep your mind sharp and exercise thinking skills you didn’t even know you had. Taking art classes can be costly and difficult to fit into an already busy schedule. Luckily, Udemy offers a huge selection of drawing classes for you to choose from. The founders and instructors behind Udemy understand that not everyone has the same access to information and the ability to learn the skills they want to. If you want to learn to draw, this is a great place to start. You will learn from university professors and professionals in the art field. 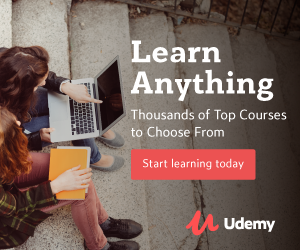 You won’t have to pay expensive tuition fees or travel far to take courses on Udemy. All the courses are affordable and can be taken anywhere you have a computer. Udemy is all about growing and learning. Whether you want to learn to draw to advance your career or just for fun, you are sure to find the perfect course to suit your needs. There is more to drawing than just picking up a pencil. Many styles of drawing exist and you couldn’t possibly learn them all in one course. If you aren’t ready to pick a style yet and just want to get down the basics, The Art and Science of Drawing/Basic Skills has got you covered. This class is recommended for anyone who wants to draw, as well as anyone who wants to learn to paint, since drawing is key to painting well. Absolutely no experience or skill is required to begin taking this class. In the beginning, you will start with the very basics, such as the proper way to hold a pencil and how to draw basic shapes and lines. You will build your way up to drawing whatever subject you choose. You will learn to analyze the subject, lightly draw the shapes and lines needed for the foundation of your drawing, and then add texture and detail at the end. You will be able to go day by day as you learn more and build your drawing skills. Even if you think you don’t have the “talent” necessary, don’t let that stop you. Anyone can learn to draw. If that beginner’s course isn’t enough for you but you aren’t quite ready to move to a more advanced course, take The Secrets to Drawing. This course has 28 different videos and 178 pages of content for you to download. The goal of this course is to really break down the fundamentals of drawing in order to give you a good foundation for your art. You will begin with lines and shapes, the basis of any drawing no matter what your subject is. The elements of form, value, and space are next as you build your skills. The course will teach you different types of perspective, different styles of drawing, as well as different mediums you can use to drawing (charcoal and pastels, for example). At the end of the course, you’ll go over different aspects of anatomy and figure drawing. Taking this course will definitely improve your drawing skills and help you to pursue different types of drawing. Sometimes you want to jump right in and learn as much as you can about a subject. The Ultimate Drawing Course – Beginner to Advanced is designed to give you a firm foundation in drawing and then move on from there so you can learn more advanced techniques and skills. The course has 11 sections, each with an hour of video to go with it. You will also read articles and do over 50 projects. The projects start simple and become more and more advanced as you go on. Step by step, you’ll improve your drawing skills even if you’ve never even picked up a pencil. At the beginning of the course you’ll be drawing basic line and shapes, but by the end you’ll be using highlights, shadows, and perspective to really bring your drawing to life. Both anatomical figure drawings and animation style drawings are covered in the class as well. In addition to the videos and exercises, you will also take quizzes to check your understanding of each subject. No matter what your skill level, by the end of this course you’ll be drawing like a pro. Once you’ve already got the basics down and are drawing at a more advanced level, you’ll still be able to benefit from taking some courses to expand your skills. One course you can take is Character Art School: Complete Character Drawing Course. 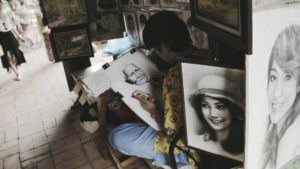 There isn’t any difficulty to understand the language in this course, and it is designed to be clear and easy to understand, even if it’s the first drawing course you’ve taken. You can use either traditional mediums or digital ones for the exercises in this comprehensive class. You will go through 10 modules and over 25 hours of instructional videos, all while doing assignments designed to build your character drawing skills from the ground up. This class isn’t about teaching one “method” for how to draw; it is about giving you the fundamental skills you need to draw characters for comics, video games, manga, animation, and more. This class is not focused on learning one specific style of character drawing either, so you can learn your own style as you go. When you finish this class you will have enough knowledge to pursue character drawing in whatever fashion you want. Do you need a better understanding of how to draw the human form? Try out Anatomy for Figure Drawing: Mastering the Human Figure. You can use just a pencil and paper for this class or any art program you like. This course is also designed to be easy to understand so anyone can take it, whether you’re a beginner to drawing or someone who has been drawing for a while and just needs a better understanding of figure drawing. It is a very extensive, thorough course with 65 hours of instructional videos, but it is worth the time. You’ll start with learning how to draw a skeleton and all about the proportions of the human body. After that, you’ll learn muscle maps and how the form changes as the body moves. You will learn all about different body types and how to draw breasts – something even great artists can sometimes have trouble with! Once you’ve finished the course and completed all the exercises, you will have a much better understanding of the human form. Online drawing classes are a great way to pick up drawing for the first time or to further develop the skills you already have. There isn’t just one way to draw or one way to learn how. When you take online classes, you can use whatever medium you feel most comfortable with, be it pencil, Photoshop, pastel, or charcoal. If you are someone who has always wanted to draw but didn’t know where to start, try a class or two and see just how quickly your skills grow with some guidance and practice. You’ll be able to reap all the benefits of taking an art class, without the time or money you would spend on traditional classes.